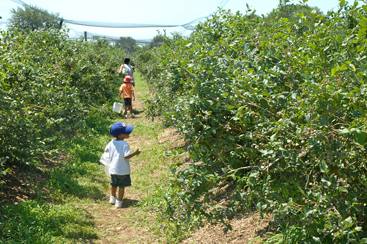 PICK YOUR OWN: Blueberry pickers survey the harvest at last weekends Blueberry Bash at Terhune Orchards where everything blueberry was celebrated. Country music was provided on both Saturday and Sunday, along with a puppet show presented by Tuckers Tales Puppet Theatre. Concrete or steel? The virtues of both materials were the subject of debate at Princeton Borough Council last Tuesday, July 5, when Borough Administrator Bob Bruschi updated members about the construction bids for Community Park Pool. The council plans to vote on the pool bids before the end of the month. At its July 7 meeting, the Princeton Regional Planning Board entered into its first discussion of the rezoning being proposed by Princeton University to allow for construction of a $300 million arts and transit neighborhood near McCarter Theatre. No action was taken at the gathering, but several concerns were raised by Board members and community residents. Two programs, including a new collaboration with Westminster Choir College, highlight the summer calendar at Princeton Theological Seminarys School of Christian Vocation and Mission. Herbert S. Bailey, Jr. is being remembered as one of the most influential and well-respected scholarly publishers of his time. The fifth Director of Princeton University Press (PUP) died in Chapel Hill, North Carolina, on June 28, just weeks short of his 90th birthday. The phrase stuck in the sixties doesnt usually apply to members of the Bar. But Tom Gombar, a longtime corporate lawyer who now focuses on criminal and matrimonial law, is a wistful veteran of the Woodstock era. While Mr. Gombar, a Princeton native, is hardly mired in the past, he revels in such memories as attending Woodstock in 1969 and meeting poet Lawrence Ferlinghetti at San Franciscos City Lights bookstore a few years later. As one of the only prep school players on the West squad for this years Sunshine Football Classic, Hun School outside linebacker Nick Pierce wasnt sure if he would fit in. Part of the fun of attending the concerts of the Princeton University Summer Concerts Series is seeing how much of the audience seems to have dropped whatever they were doing to attend the performance. People come in all types of dress and in a wide range of ages  well-dressed with children in tow to perhaps just having left their gardening. Clearly no matter what the daytime activities, there is always time for chamber music. The new season of the Princeton Summer Concerts Series kicked off last Tuesday night in Richardson auditorium with a polished trio making their way through the complete piano trio works of the master of chamber music.